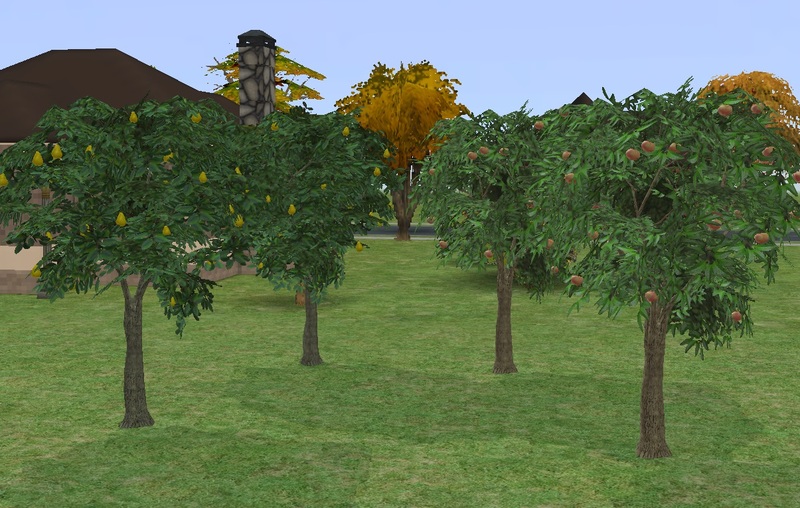 Two new orchard trees for your gardening Sims. 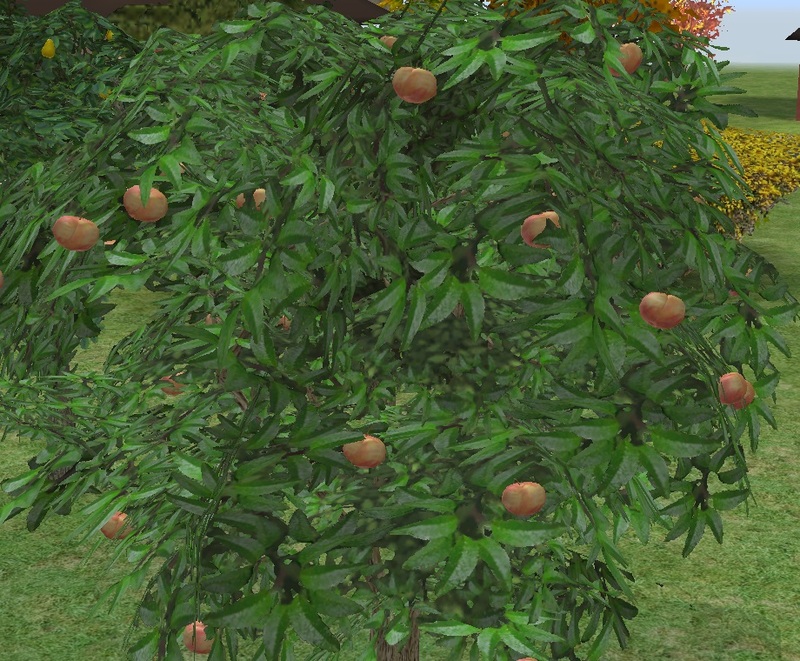 They have the full range of functionality as the EAxis trees - they need to be clipped, they catch bugs, give gardening skill badges, cause plant sims etc. I cloned these without Freetime, so if you have Freetime they won't give any hobby enthusiasm, except for spraying which I left semi-global. The meshes I used are EAxi's own meshes, so I apologise for the high poly counts. In any case, most of the mesh parts will have a Null TXMT at any given time, so the functional poly count will be lower than the maximum. I have given each tree its own textures. I have tweaked the trees in two ways. I have slightly increased the harvest quantity, and made it dependant on crop quality as well. 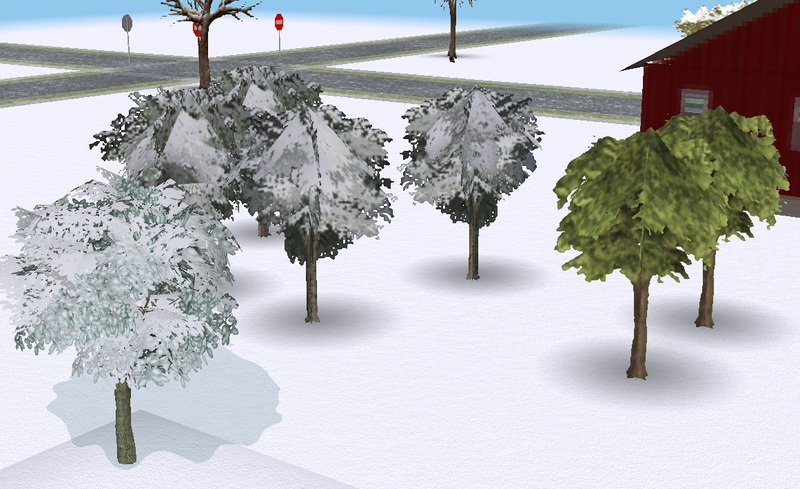 I have also enabled a snowy winter state for the trees in neighbourhood view. 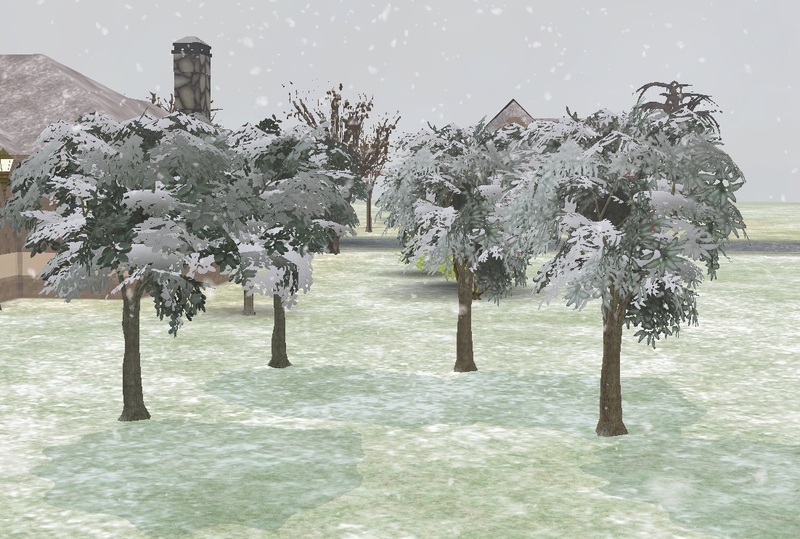 Although the Lod90 textures for the orchard trees included a snowy winter state it wasn't working and the trees stayed in their summer state all year round - at least in my game! The picture below shows my trees seen from a neighbouring lot with two EAxi's apple trees next to them, so you can see what I mean. I have also tweaked the fruit a little. I have made it buyable (under appliances/Misc). 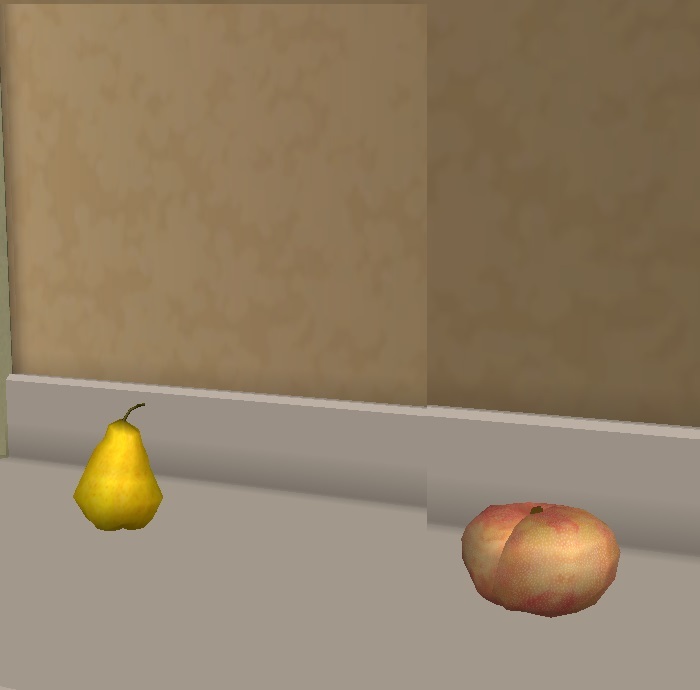 I have increased the number of surfaces it can be placed on and I have added a new interaction, Eat Peach/Eat Pear. I took the coding and animation for this from the Castaway Stories harvestable tropical trees. It is an autonomous interaction if you leave harvested fruit available, and fills hunger about 25%. 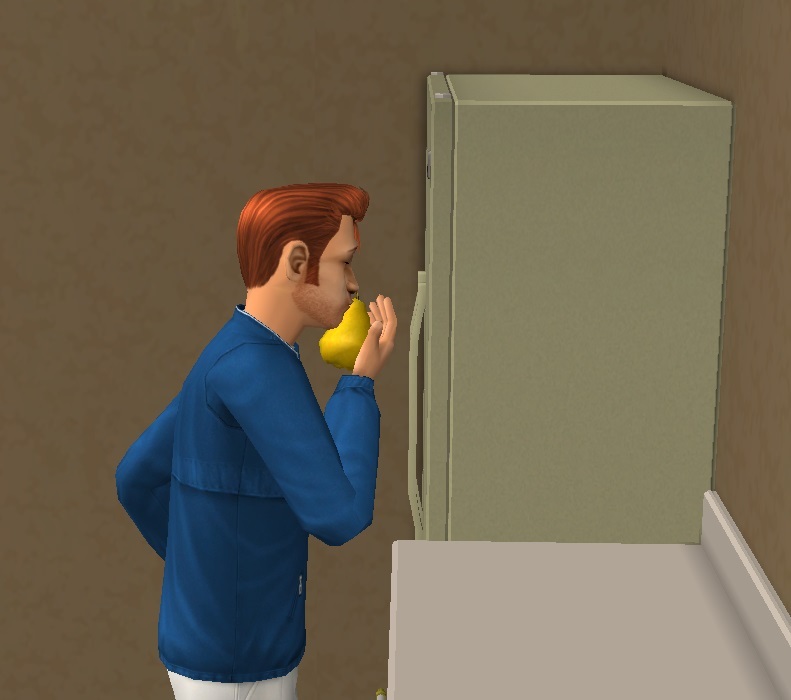 Eating fruit is also enjoyable if your Sim has the right personality. As well as being eaten, the fruit can be used to stock the fridge, or sold in a business. It can be used to stock the juicer, but won't make juice. 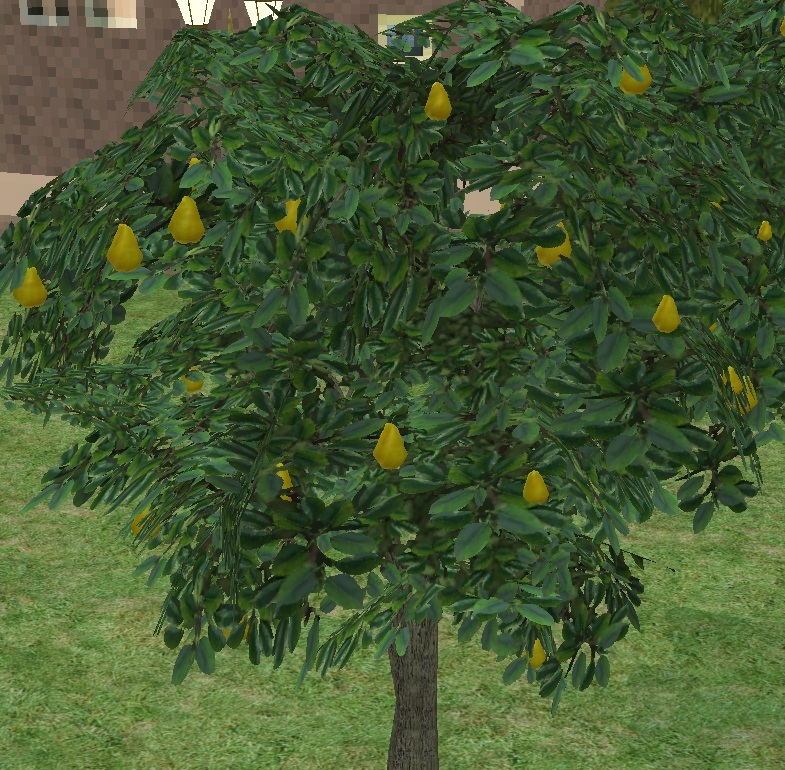 The trees are available in Garden Center/Gardening for $1,200 each. The packages have been compressorised. The makers of Simpe, Paint.net and Blender and all the cool freeware tools. Those who take the trouble to write the tutorials, which allow us to learn how to do it too. @Lamare @Maxon @Honeywell for your help. Gwenke, whose version of the CS trees is the one I took apart for spares. 174 people have said thanks to Aysarth for this download.